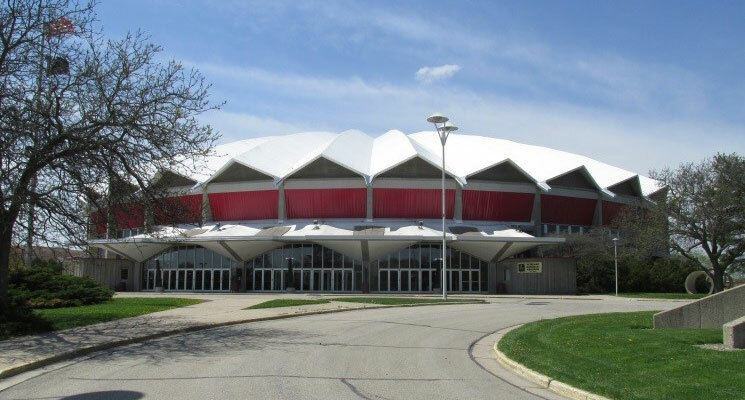 Dane County retained ZS to perform laser scanning of the roof structure and as-built modeling of the Veterans Memorial Coliseum as part of a comprehensive study of the facility. Laser scanning was performed from multiple locations in the coliseum’s interior, including the catwalk system. The scans were registered (i.e. aligned) to create a single composite point cloud of the interior of the Coliseum. 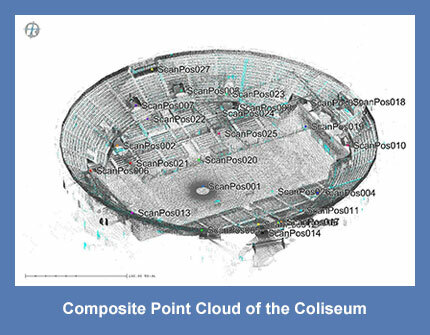 Upon completion of the point cloud, ZS began developing an as-built Building Information Model (BIM) of the Coliseum roof and all roof mounted elements. 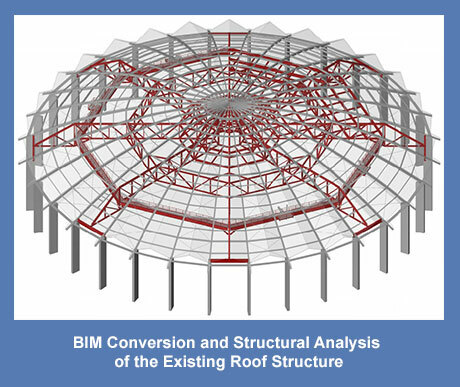 The next step in the study was to perform a structural analysis of the arched roof structure and evaluate the Coliseum’s existing rigging guidelines. A state-of-the-art structural model was developed and the as-built BIM was utilized to accurately apply roof mounted loads such as catwalk hangers, lighting truss hoists, and suspended equipment platforms.